Hmmmm the three Cs of life. Never knew of this. Great post. now u know… tnx for stopping by.. This was definitely interesting. Keep on writing! Yes I agree sometimes it takes a little pain to really see what there is to truly appreciate. That's very true. 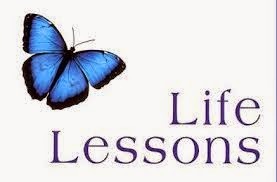 Life teaches us lessons at every stage and we keep on learning new things. Getting hurt is a part of life. Can't do much about it. This happened to me this weekend. I'm still hurting, I am growing from this experience. candace take heart and be good….. we learn daily and truely you will get over it.. I have definitely lived through some of this. alot of us have in one way or the other through our life's. Such a true and interesting post. Thanks for sharing! It's an unfortunate part of growing up, but it is necessary for growth. Some of the most painful obstacles and situations are what make us grow. so true yet some people dont see it that way.